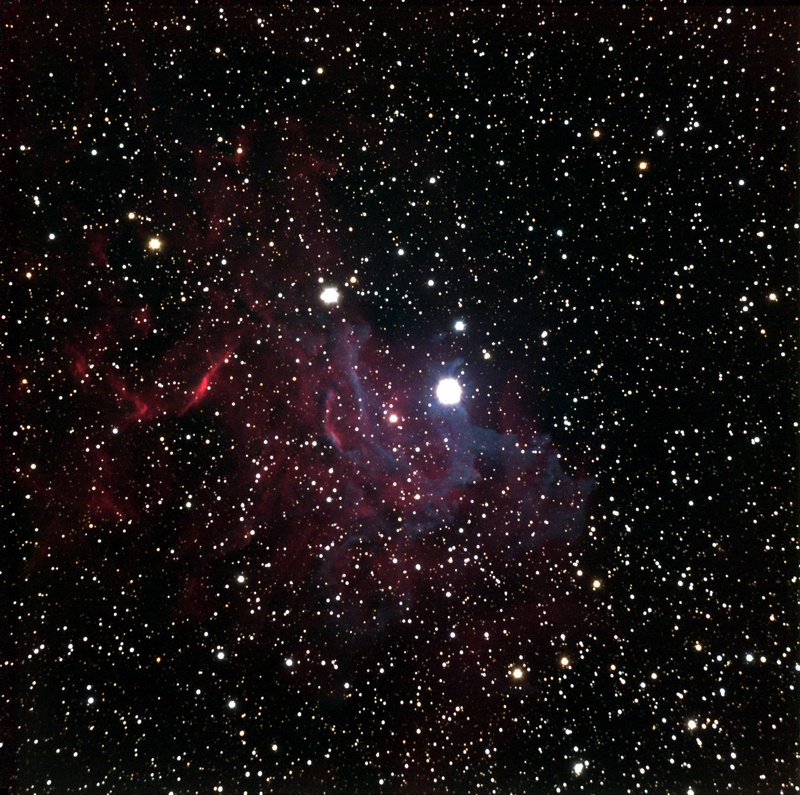 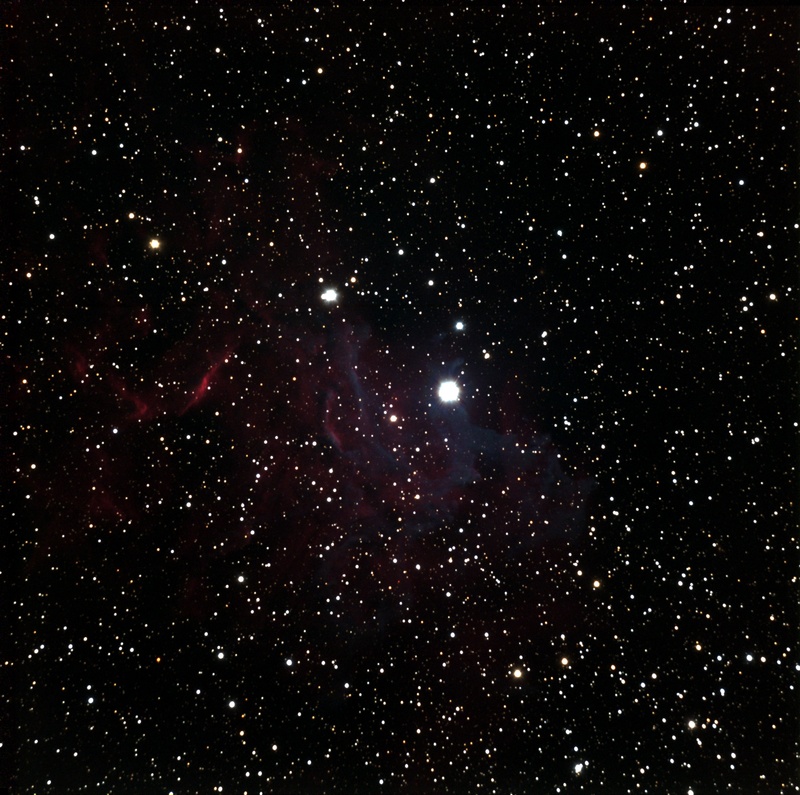 IC 405, also known as the Flaming Star nebula, contains clouds of dust (blue) and gas (red) that are believed to have been present before the brightest star in the image, AE Aurigae, traveled near it, providing illumination. 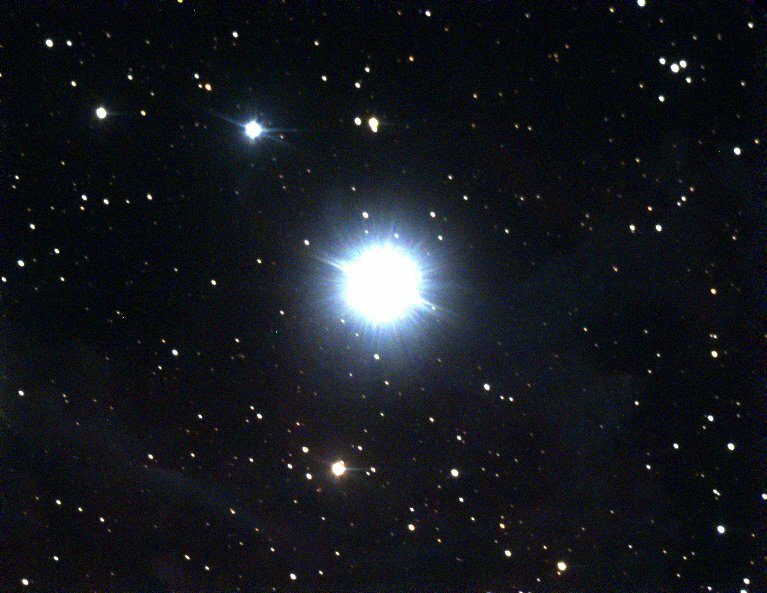 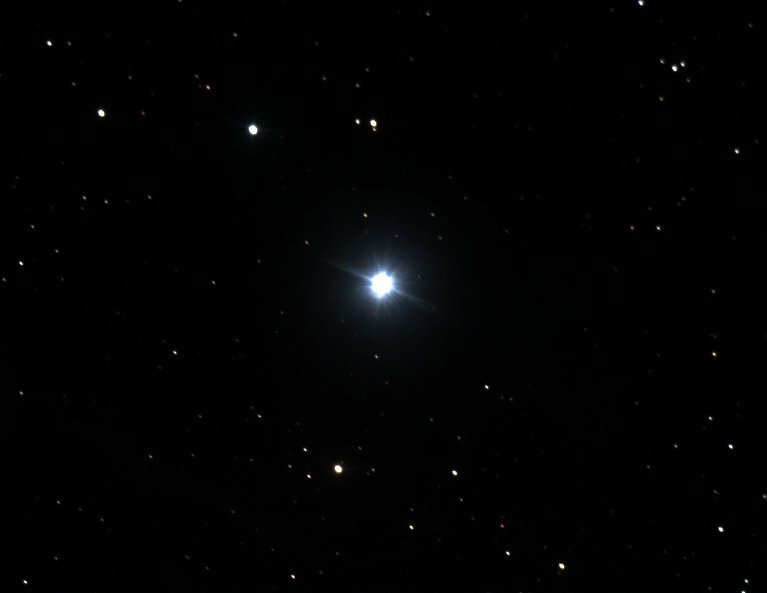 This is our first decent image of this rather faint object after a couple of tries. 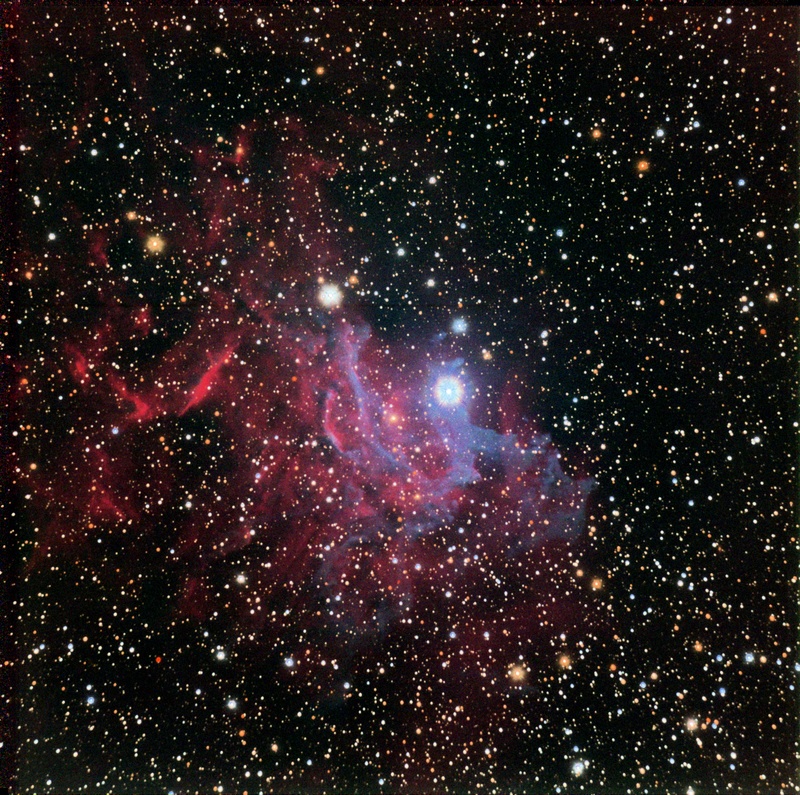 This is also known as the Flaming Star nebula. 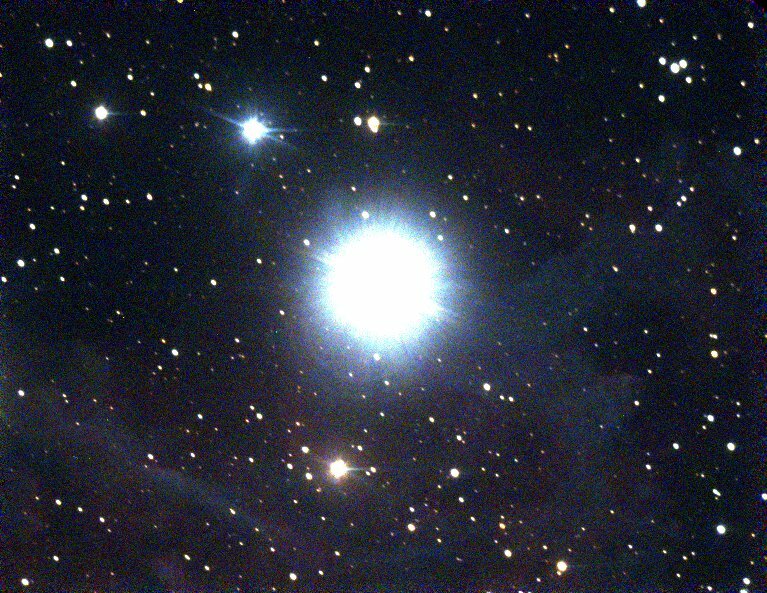 Clearly this is a neat object for a high-end CCD, but it is pushing the sensitivity limits of my imaging setup.